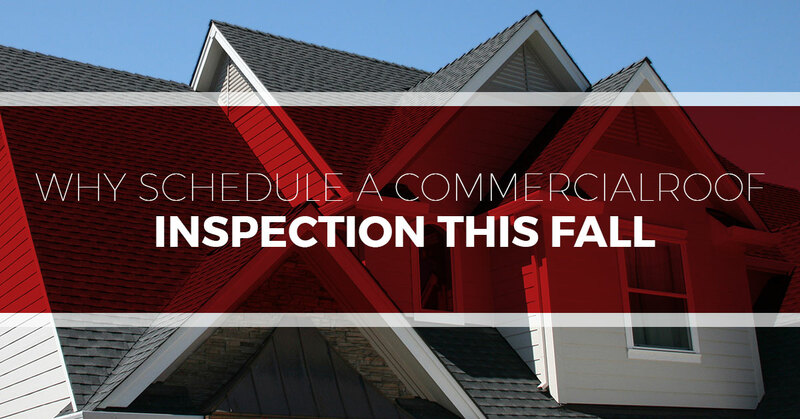 Why Schedule A Commercial Roof Inspection This Fall? With the end of summer approaching, there are a number of things that businesses and commercial property managers have on their plate. If getting your commercial roofing inspected and maintained is not on this list, we think it should be. Not convinced? Read on, because in today’s blog post, we are going to talk about why getting your roof inspected in the fall is ideal. Don’t have time to read? Want to schedule your commercial roof inspection now? That’s fine, too! Contact us here via the form on the right or give us a call at 615-553-2782 and we can schedule your services and get you a free, no-hassle quote. Here in the Nashville area, winters typically aren’t extreme, but they are enough to wreak some havoc and cause damage to your commercial roof. Given this more or less predictable occurrence, fall is an important time for property managers to ensure that their roofing system is in tip-top shape and ready to take on whatever winter throws its way. Additionally, if there are minor issues with your roof and you don’t fix these before winter, the snow and ice will exacerbate these problems, elevating them from minor issues into big, costly repairs. Okay, you get it. It’s important to make sure your roof is up to snuff before winter. But what should I look for when performing a roof inspection? Read on to learn about some of the most common issues that arise because of seasonal changes. If you have a flat roofing system on your commercial property, you likely already know the risk of pooling water. Because it’s so important, we’ll give you a reminder anyway. One square foot of pooling water weighs roughly five pounds per inch of water. This is quite the burden on your roof, and before no time at all, this ponding water will begin to seep into the interior of your business. One of the most common causes of ponding water is clogged drains. This is an issue that is especially common during the fall because of all of the leaves and debris that finds its way onto your roof. When performing your commercial roof inspection this fall, give some thorough attention to your drainage system by checking gutters, downspouts, scuppers, and roof drains. If these things go unchecked, they could potentially lead to pooling water, which will quickly morph into a giant ice dam once freezing temperatures roll in. The roofing membrane or insulation is a vital part of any roofing system. Its primary function is to keep water and leaks from entering your interior. When the cold air from outside meets the warm air from inside, condensation will begin to form, potentially causing mildew, mold, and water damage to form. Common especially with low slope roof systems, membrane damage often takes the form of cracking, splitting, blistering, shrinking, and puncturing. When inspecting your roof, be on the lookout for any of these problems, as well as any portions that are mushy. If issues with your roofing membrane aren’t remedied in the fall, you may be in for a rude awakening in the spring when all of the snow begins to melt. Any penetrations, protrusions, and edges on your commercial roof system likely have an array of flashing and sealants. These are important parts of your roofing system and are particularly prone to leaks. If the flashing, field wraps, rain collars, pipe boots, pitch pans, and any other areas on your roof are not water-tight, your roof may be compromised. Keep in mind that flashing and caulking are relatively inexpensive. If you are at all worried about the condition of these, save yourself the trouble and replace them before winter comes. Not sure how to make this assessment? We are! Give us a call at 615-553-2782 to schedule an inspection, and we’ll give you the peace of mind you need going into winter. What Does A Commercial Roof Inspection Include? Inspect roof penetrations, flashings, sheet metal, etc. Ready to get peace of mind going into winter? We’re ready to provide your detailed commercial roof inspection. Prompt commercial roofing repairs are crucial, especially for roof systems that are not very old. It could be the difference between a few repairs and an entire commercial roof replacement. As Nashville’s most trusted commercial roofing company, we can help you identify any problem areas, perform any commercial roofing maintenance, and leave you and your commercial roof ready to take on winter.